Sponsored content by The Place 4 Paws Ltd. Welcome to our new weekly blog that is brought to you by the Cochrane & Area Humane Society and proudly sponsored by The Place 4 Paws Ltd. Keep an eye out on our social media for the weekly Pet Of The Week that is up for adoption! Bringing home a new puppy is guaranteed to bring limitless laughter and continuous cuteness. It is also sure to involve forever fine-tuning and additional adjustments in the homes of the new families. At the Cochrane & Area Humane Society (CAHS), the ultimate goal of saving lives begins and ends with education for success. The outcome is a win-win-win: for the animals, their potential homes and the staff and volunteers within the shelter. Because we know puppies will be puppies, in March CAHS held a Volunteer-Puppy Bootcamp, put on by Vanessa Fischbuch, Certified Professional Dog Trainer at the CAHS. The four sessions were designed to help set the puppies up for adoption success through the development of obedience: attention, sit, down, come, loose leash walking and recall and life skills: socialization, handling, food bowl etiquette, play, behavior, boundaries, relationships and manners. Susan Spooner, one of the volunteers in the camp, was impressed with the “wealth of knowledge” offered by Fischbuch. “The puppies benefit from the consistent individual training and volunteers have a wonderful opportunity to learn training techniques from an expert, as well as getting lots of puppy love,” said Spooner. Cultivating this culture where knowledge holds the power for long-term happy-forever-afters is a key component of what makes CAHS more than a shelter. During the intensive two-week training, volunteers and their matched puppy learned valuable foundations of obedience and socialization skills through positive reinforcement and consistency. The volunteers were able to foster or spend extra time with their assigned pups outside of the training. 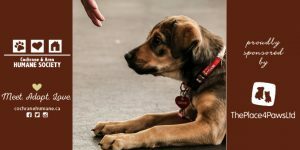 This practice created an opportunity for the volunteers to experience first-hand how profoundly they can make a difference in the lives of an animal, and how quickly a puppy can learn. The reward was the results. The advances that were made within a very short time were substantial. Drifter, who was shy, came out of his shell; Cheerio who was older, was able to enjoy some much needed one on one time; and the four Sporty Puppies developed manners that will help them flourish in their new homes. At the same time, our volunteers gained valuable skills to assist even more animals in the future, in the shelter and in their own lives. If you are interested in volunteering with the dogs at the shelter, please visit our website at www.cochranehumane.ca/volunteer/apply-now/ and start making a difference today. Whatever your animal skill-set is, CAHS will provide many opportunities to help you help us help the animals win-win-win. If you have added a new furry friend to your home, CAHS offers a wide variety classes and seminars. 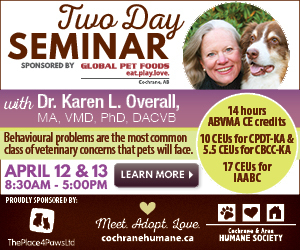 To find the right one for you please contact us at 403-932-2072 or view our classes at www.cochranehumane.ca. 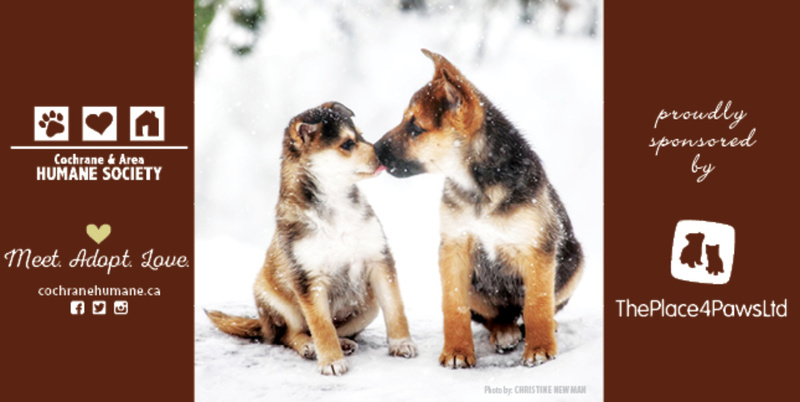 Thank you to The Place 4 Paws for sponsoring our weekly Petlife post. Because reaching out and having a presence in the community is important to us, Cochrane and Area Humane Society (CAHS) is working on building a team of staff and volunteers for events. As much as we want to encourage people to visit the shelter, we also want to visit you. We hope you will watch for us at the Airdrie Home and Lifestyle Show on April 27 and 28. We will also be bringing animals, with a focus on education, to the Airdrie Children’s Festival on June 1 and 2. In the month of February, staff, volunteers and animals from Cochrane & Area Humane Society (CAHS) visited four pet stores for their National Adoption Weekends. Because it was puppy-land at the shelter, our focus was on getting puppies adopted when we spent the weekend at Pet Smart in Beacon Hill, Calgary from Feb. 22 to 24. We are happy to say that over the weekend six puppies went to their forever homes from this visit. Thank you to PetSmart who granted us $250 to cover some of the surgical expenses for spaying and neutering these animals. 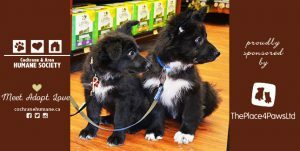 Three Pet Valu stores, Pet Valu Cochrane, and Pet Valu Main Street and Pet Valu Coopers Crossing in Airdrie, were also visited on Feb. 16 and 17 by Larch and Linden, who showed off their fabulous manners. Both have now been adopted to happy homes along with the rest of the seven Lovely Puppies. It was wonderful to see our animals who visit the stores get adopted through these events, and it was just as wonderful to see the interest in our older animals through our displays of printed photographs and via our website and the interest in the many programs offered for new adoptees and their families. Thank you to our volunteers who smile the entire time as they proudly share information about our shelter programs and animals in and out of the shelter. If you are interested in helping out or getting involved, visit www.cochranehumane.ca to find the perfect place for you. Thank you to The Place 4 Paws in the Airdrie area for sponsoring our weekly blogposts! This sounds a lot like the questions Cochrane & Area Humane Society’s Quilting for Critters group has to decide when they are beginning a new project. How big will it be? What will it look like? 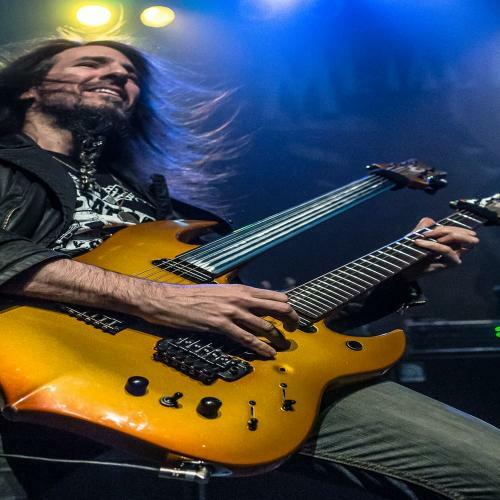 Where will the fabric come from? Each quilt comes from “scraps” or extra fabric that is donated and sewn together piece by piece to create a final masterpiece of uniqueness that could never be completely duplicated. Each person adds her own flare of colour and talent to her patch that will be joined together with the others. Somewhat similar, yet still distinct. Parallel to adding a new furry friend to your family; you think you know what you are going to get, yet the final outcome is so special and unique, it could never have been imagined. For the past three years, this group of about 13 ladies gather together regularly through their two common loves: animals and sewing. 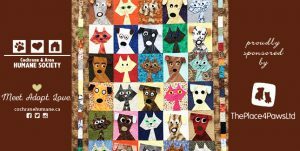 They have been able to raise about $7000 so far for our animals through their quilts, which have been raffled off and auctioned at our annual gala, as well as other projects like the Mutt Mats that can be found in Norm’s Nook. Once all the individual squares are made, they are pieced together to form the quilt-top, and then the final step is making it into a quilt, which is done by a long-arm quilting machine. Andrew and Tracy Bentley, owners of Maple Leaf Quilting Company Ltd., Cochrane’s local long-arm quilting store and Western Canada’s distributer of Gammill long-arm quilting machines, along with their staff, generously donate their time and machines to complete the quilts. Much gratitude to Maple Leaf for this and for the many other “scraps” that are not wasted, but turned into cat beds, mats and blankets for our animals. Thank you to our entire community of unique individuals, who care about animals as much as we do, for using your gifts and talents to help make CAHS and our mission of saving lives a success. There is a legend that dogs with two colors of eyes have one eye on earth and one eye in heaven. 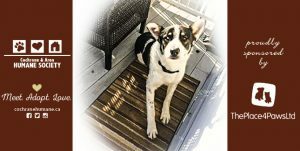 That was the introduction to Zack’s profile on the Cochrane and Area Humane Society (CAHS) website when he was finally ready to be put up for adoption after a one-year stay with CAHS. Zack is now heading into year-three of his new life. Zack came into the shelter, when he was about 4, in February of 2017 with an injury that required emergency surgery and a long road of rehabilitation. One year later, his new family, who saw something special in this beautiful boy, took him home. The journey of healing was a difficult one for Zack, but he was fortunate to be cared for in the loving foster home of Alana, while in the care of CAHS, who to this day his new parents Kevin and Shelley have much gratitude for – and still keep in contact with. “We have had Zack almost one year and he has fit into our family like he has always been with us,” says Shelley. Now that Kevin and Shelley understand Zack they are able to prepare for situations that make him uncomfortable and make environmental adjustments when needed. He does not like assertive behaviour from other dogs and still doesn’t like going to the vet, but that the little piece of heaven that can be see through his eyes has come out many times when Zack displays his warm and gentle nature especially around little girls. Foster mom, Shelley, says that the “rule of the first threes” that was taught to them by CAHS’s Dawnita Gillman, CPDT – KSA, who spent time with the family in private classes, was something they have thought about many times during the past year. Gillman says that this rule is a reminder to the adoptees that it takes time for new animal members to get used to their new homes and to build trust. “Having compassion and seeing it from the dog’s perspective,” says Gillman. These rules are taught by Dr. Patricia McConnell and Dr. Karen B. London. Thank you Shelley and Kevin for seeing that little piece of heaven in Zack and giving him a second chance to show his true self. We wish you all the best in this third-year of Zack’s new and wonderful life. Some of the greatest of life’s moments and the lessons that go along, hand-in-paw, are gifted through the unspoken tales that are told through the eyes of the animals who have walked thousands of miles. This is something that Cochrane and Area Humane Society (CAHS) has always regarded, which formed the foundation for the future of forever animal care. For CAHS it all started with a cat named Norm, who called the shelter home for 15 years. He was a companion to many who shared their offices and lunchroom or as he walked by their side up and down the halls of CAHS. In the end, it was clear that Norm gave to his beloved people much more than he ever took. 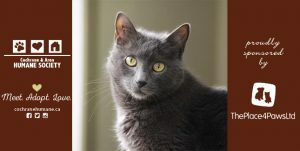 Over the years there have been many others like Norm who came into the care of CAHS and never left. Valuing each life has always been the unspoken promise held in the hearts of CAHS staff and volunteers. Now this promise of endless compassion has an official title: Palliative Paws Program, which was made possible by Global Pet Foods Cochrane. Kari Broadhurst has found a special place in her heart and home for animals in the Palliative Paws Program. After having the experience of sharing the precious last stage of life and the death of animals in her care she says, to her, it is a privilege. Today, Broadhurst is caring for a cat named Noah. The cost of palliative care can be substantial for a shelter, but through the generosity of supporters like Global Pet Foods Cochrane, CAHS can continue to provide its foster families all of the necessities such as specialized food, bedding, crates, medication and all veterinary care. Foster parent, Sharon Pye, says that for her offering comfort to an animal who is afraid or longing to be held, is the “obvious” thing to do. She wants the animals to know that they were loved and that they made as much of a difference in her life as she did in theirs. “If it’s possible, I try to be the one who is holding them when they take their last breath,” says Pye. Fostering animals who require special attention and those you know you don’t have an entire lifetime with it is not easy, but for Pye there is no greater reward. She says that if someone wants to know they are making a real difference, the Palliative Paws Program is the one. Thank you to all of the loving hands who continue to hold the tender paws until the end. Because of you, the unprecedented future of forever animal compassion is being set and the world is sure to be a better place. Leaving your new pet at home for the first time may require some adjustments to your routine. Here are some tips to help you with leaving your new pet home alone and SAFE until your return. 1. 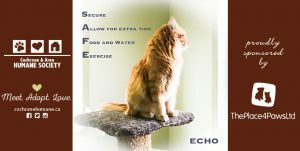 Secured area: Providing a safe, nurturing and comfortable environment is essential for your pet. Some things to think about are cleanliness, temperature, calmness and natural light. Remember your pet is still adjusting to their new surroundings; introducing him to new areas and people is good to be done with your support and presence. It is best not to let your new furry friend have complete run of the house when you are gone. He is safest in a secured, comfortable place with appropriate toys to chew on and play with. Pens and baby gates are handy ways to keep dogs and puppies secure, yet not completely closed off. Be aware of items such as wires, drapes, electrical cords, shoes and furniture that may get ruined and can also harm your new friend. And don’t forget to close your toilet lid! 2. Allow for extra time: You may want to set your alarm earlier to allow for extra time in the mornings. This way you do not feel the anxiety of being rushed, and neither will your pet. It is also important to go straight home after work so you don’t get caught up in the quick-errand-time-warp. The amount of time you leave him will depend on his age. New puppies may only be able to handle being alone for two hours at a time at first, but don’t worry, it gets longer with age! 3. Food and Water: Adhering to a feeding schedule is important for your pet. Be sure he is fed before you leave and that there is fresh water available. Lack of appetite can be a sign of mild stress; be sure to monitor food and water intake to prevent low blood sugar or dehydration. Other signs include: diarrhea, submissive behavior or trying to hide. Be patient with your pet, building trust can take time. If there are indications of illness, such as diarrhea, vomiting, lethargy or not eating for more than a day (for puppies under 12 weeks) it may be cause for concern. For kittens, watch for these as well as open-mouth breathing or wheezing. If ever in doubt, please call your vet. 4. Exercise: Making time for play or adding a morning walk to your routine will help your new dog burn off energy. After some exercise your pet will probably be ready for a nap just when you are ready to leave. Pets respond well to regular routines just like everybody else. 5. Socialization is also important – for you and your new friend. If you are would like to enroll in puppy play-dates or obedience obedience classes, please check our our website to see our upcoming activities and classes. If you are interested in learning how to better communicate with your dog or dogs in general, Cochrane and Area Humane Society is holding a Speak Dog Seminar on March 15 from 6:30 to 9 p.m. with a focus on understanding body language. If you have done all of the above, lastly let go of any guilt. Instead, think about the excitement of walking through the door at the end of the work or school day! A big thank you to The Place 4 Paws for sponsoring this blog. 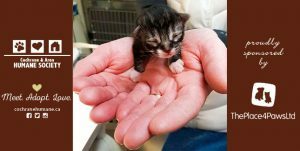 Their response is that they are not “giving up,” but rather they are giving the animals they foster an amazing start with much love. “So that they can go on and fill someone else’s heart with love,” says Elburg. 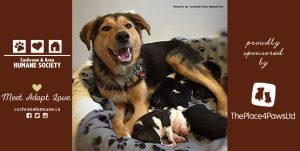 Kodak and her five pups came to the shelter on Dec. 1, 2018 with over 30 other dogs from Canine Action Project (CAP) based out of Saskatchewan, which is supported by CAHS through our Rural Rescue and Support Program. Elburg was in charge of completing the intake information for the animals when they arrived at the shelter and was immediately drawn to Kodak. “I could tell she was gentle and her eyes were full of kindness – sometimes you just get a feeling about a dog,” explains Elburg. 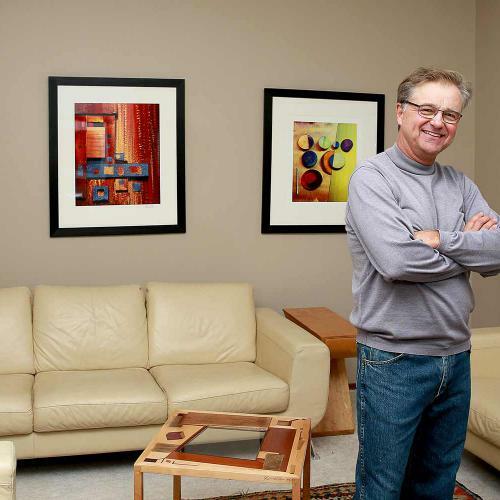 Having fostered three times before, Elburg knew that it could be a lot of work. But, after consulting with Newman, receiving approval from CAHS’ foster coordinator and having the animals examined by our hospital staff, the entire family went to their loving temporary home two days after their arrival. Because Newman is a photographer, the couple named the mom Kodak, the two boys Canon and Pentax, and the three girls Fuji, Nikon and Polaroid. Mama Kodak was a little unsure at the start. She wouldn’t walk on their wood floors and had to be carried outside. She wouldn’t go downstairs and didn’t really seem to know what a toy was. All changed very quickly because fortunately Kodak was with Elburg and Newman over a warm holiday season where she enjoyed many gifts of toys and long walks each night to look at the Christmas lights. Elburg says that at 10-days-old, with eyes still closed and unable to walk, Kodak did most of the work of feeding and cleaning her pups. When their eyes started to open, it was a surprise to see that three of them had blue eyes. By three weeks Elburg says the “real fun” began. For Elburg and Newman, fostering animals has been extremely rewarding. Watching them grow, laughing while they learn to walk and endless amount of cuddling all bring the reward of unconditional love. Saying goodbye always comes with the hope that the animals find a family who loves them as much as they do. The ultimate reward is seeing the animals in their new homes and knowing that they in fact did not “give up”, but were able to give more – bundles and bundles of love. All of the five puppies and Kodak have now been adopted. They are all doing great in their new homes and very much loved by their new families. The CAHS was founded with the knowledge that rural communities often require unique supports and animal welfare services to ensure the health of animals and people in the communities. Our Rural Rescue and Support Program partners with communities and other organizations like CAP to help provide those needs. In 2018, CAHS assisted 1893 animals with 454 of them coming through our Rural Rescue and Support Program from six rescue partners. 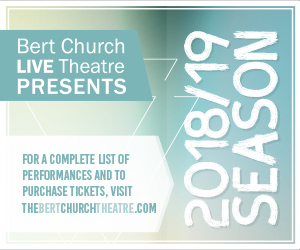 Funds donated to this program go towards transportation and hotel costs, food and shelter for the animals, veterinary care, behavioural rehabilitation and placement into their forever homes. If you or someone you know would like to donate to help support our Rural Rescue and Support Program, please contact (403) 932-2072. Thank you Cochrane Pet Valu for sponsoring our Rural Rescue and Support Program and to Four Feet Foundation for providing a grant to help transport animals from our rescue partners. For animal lovers who may not be able, or ready, to own a pet of their own, opening one’s heart and home to fostering an animal might be a great alternative. “It will be broken, but the joys of watching frolicking puppies and listening to happy purring far outweighs the sad times,” relays French. She remembers her first foster dog, Sunny, a young dog with mange. “Being my first foster animal he was the hardest one to say goodbye to,” recalls French. Letting go has gotten easier over the years; although, it is still sometimes difficult for French when it is time to say goodbye to the adult animals. French has fostered cats and dogs, ranging from pregnant moms who have given birth to their babies and seeing them through to their weaning and surgery, to animals being treated and recovering from a broad range of health issues. French says that fostering has been her way of giving the shelter animals some in-home TLC, which some have never been given. 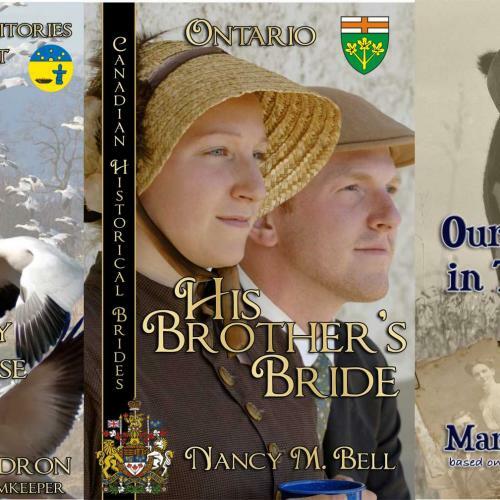 One of the challenges has been that there is often no history on an animal. She suggests to be as equipped as you can to prevent playful destruction from puppies and to be prepared for behaviour issues that may arise and need to be worked through. The benefits of becoming a foster for CAHS are that all the veterinary care is provided and if there are behaviour issues, there is well trained staff to consult and opportunities for training if foster homes want to improve their own personal skill sets. All of the supplies that foster homes need for the pets are supplied by CAHS, including food. Every animal that comes into CAHS is spayed or neutered at the shelter. Although French has named herself a “foster failure” on several occasions, which means the lucky animal ended up becoming a part of her forever-family, she says she soon came to realize she can’t keep them all and that eventually most animals find their own perfect home. Pepper’s perfect companion is salt. Salt is a mineral and is a vital source of life; it is sometimes referred to as the essence of life itself, and black pepper is the warmth, known for versatility and compatibility. They are always placed together on the table side-by-side, to be used in a complimentary way to add flavour to every dish. They have become known as the soulmates of cuisine which is what our girl Pepper has been searching for in her perfect companion – a soulmate. 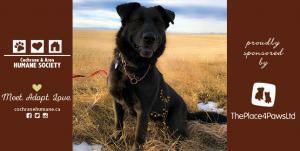 Pepper was brought into the Cochrane & Area Humane Society (CAHS) after having lived on her own her whole life and fending for herself in a rural environment. She was fearful of humans due to a lack of interaction and her survival skills were used to their fullest each and every day as she persevered to beat the elements and the odds. The CAHS has spent almost two years integrating Pepper into the “human world” and what a journey it has been! She has changed many of our lives as much as we have impacted hers. The folks working with Pepper persevered just as Pepper has, and at times it felt impossible. Dedication, love, patience and commitment to Pepper’s well-being have paid off and now she is ready for the next stage of her life. The next leg of Pepper’s journey includes finding her forever home. She is looking for a soulmate kind of person that will continue her journey to becoming a dog that loves and trusts people. Her ideal person would have a quiet, adult only home that would have another dog that she enjoys, takes comfort in and will learn good behaviours from. What would it take to be Pepper’s salt? Patience, dedication and lots of love. Our knowledgeable behaviour team will work with a potential new home to get Pepper feeling comfortable with them in her existing environment before she goes to their new home. We will provide continued support and expertise to Pepper and her people in the months following to help set everyone up for success. The intrinsic quality of dogs is loyalty, and like salt and pepper, loyalty and love go hand-in-hand; each one’s qualities making the other complete. When love leads with patience and perseverance, loyalty follows. This month, the month of love, if you are seeking your perfect soulmate – or perhaps a best friend who is one of many mates of your soul, let it begin with knowing and becoming your own essence. 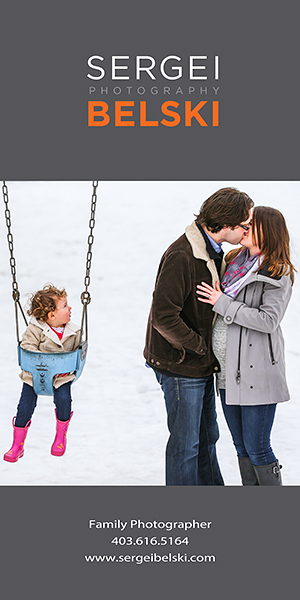 From there, finding a perfect and complementary companion is sure to transpire. If you would like to learn more about Pepper, please contact our adoption department at 403-932-2072 or adoption@cochranehumane.ca. Cardiovascular disease is a leading cause of death world-wide and February, being National Heart Month, the Cochrane & Area Humane Society (CAHS) wants you to know that we are doing our part to help your heart-health. At CAHS, our mission is to lead and educate our communities in animal welfare by providing pets in need with shelter, rehabilitation, training and opportunity, and supporting people in responsible pet care. This includes saving and changing lives. Owning a pet can add years to one’s life through physical activity, but there is more to it than just exercise. Studies also show that the pet-human bond can help get people out of the loneliness state of mind, which is a major factor in depression and other forms of illness. The companionship and nurturing that loving a pet offers reduces stress levels and lowers heart rates. Feelings of isolation are lessened with a constant loyal friend, partly because of animals’ need for security and attachment and through the social interaction with other humans because of their commonality. CAHS holds many events and activities for animal owners and volunteers who want to enjoy the benefits of the human-animal bond. We believe that animal advocating is an entire community issue. The good news is that as our entire team, from our veterinary staff to our sponsors, are working to save the lives of animals, those animals in turn are saving the lives of their beloved people. From our hearts to yours, during National Heart Month, CAHS invites you to be heart-smart – get involved or adopt a pet to add years to your life. Walk into Kevin Kellar’s home and two things become obvious: it’s a gallery for his art, and a showcase for a lifelong fascination with light. What Kellar does as an artist involves photography, but the camera is simply a medium.